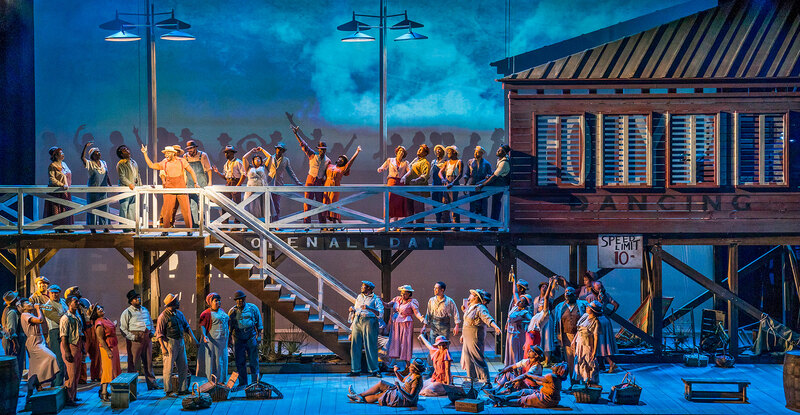 I quite forgot the first number in Porgy and Bess is Summertime! Beautifully sung by Nicole Cabell as Bess. On a whole, the chorus number was better sung than the solo numbers - where the diction was generally inadequate. The set (Michael Yeargan) was three-dimensional and worked really well with the many scenes in this work. John Wilson was in his elements in the pit and the orchestra responded with a rhythmic boisterous sound - the best part of the evening.